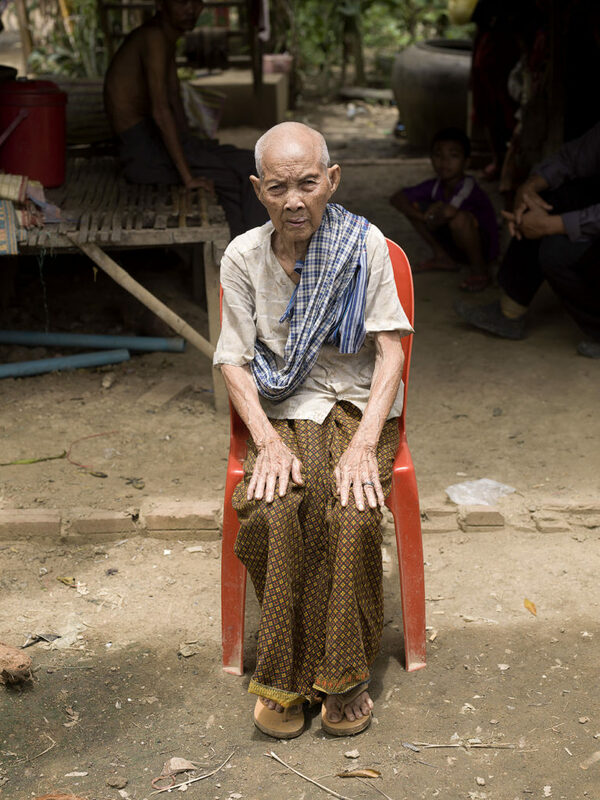 Buo Phan is an old woman, who has been living in this village her whole life. She lives here with her son Chhouk Chhot (54) and daughter Chhouk Sokhan (62). Her son used to take care for her, but he got sick with polio, and now he is disabled. Now she takes care for him. She is very said when she tells about her life. Her children are barely able to get food enough for themselves and their children, and Buo Phan feels like a big burden for them. She hopes she will die very soon, instead of getting sicker and sicker. Her eyesight and hearing is very poor, and she is in pain physically. She does not go to the health center or doctor, and uses no medicines. There is no money for that. She gets 2,5 dollar per month from her daughter, and she uses that for food, and gives some of it to the monks of the pagoda, to gain merit for her next life.